MP4 Watch records and displays video – and tells time! Watching the clock gets a whole new meaning with Thanko’s MP4 Watch. 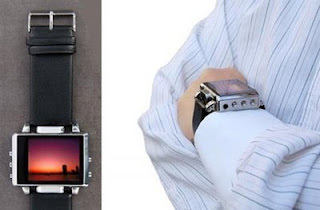 Seemingly straight out of Q’s arsenal the watch that features a full color 1.8-inch LCD screen as well as a voice recorder and tiny camera that can record video at 352 x 288 resolution and take photos at 640 x 480 resolution – perfect for any aspiring James Bond wannabes. A mini-USB port is used to transfer files to and from the device, which supports AVI, WMA, MP3, and JPG multimedia formats and has a memory capacity of 4GB. The rechargeable battery provides roughly 8.3 hours audio playback, 8 hours audio recording time or roughly 3.5 hours viewing time. Oh, and the device also tells time. 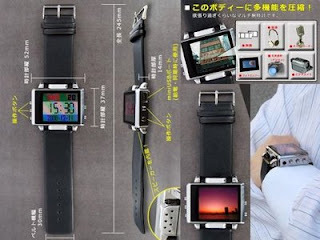 The Thanko MP4 Watch is available for JPY14,800 (USD$166).